How tall should the centerpieces be? I've acquired a few vases I would like to use for my centerpieces, and looking to have half of my table with low centerpieces and the other half tall. I'm hoping the tall vases will be tall enough for the size of the room my reception will be in. 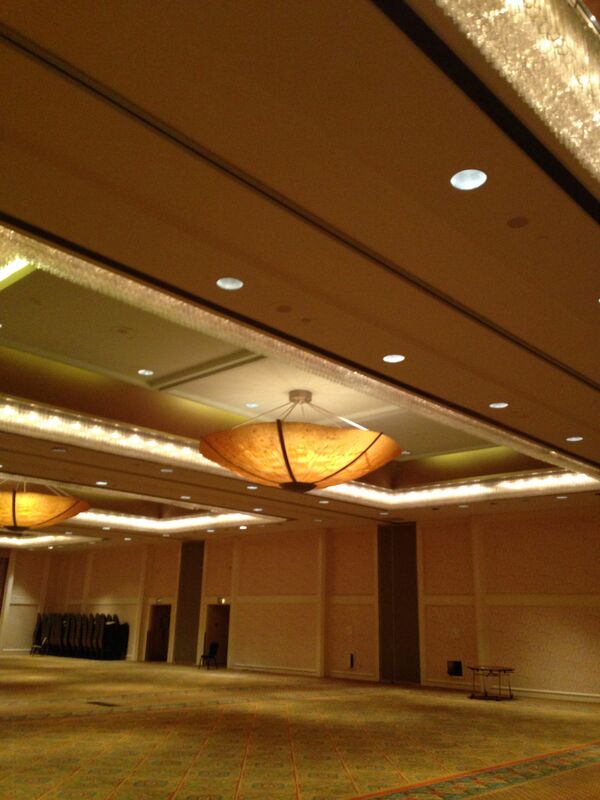 The reception will be in a hotel ballroom (see picture HERE) and the vases are 13" tall. My flowers are hydrangeas and roses, looking at doing something like THIS or THIS. Let me know what you think! Re: How tall should the centerpieces be? At 13" those arrangements are going to be hitting right in the line of sight of your guests. If you want tall centerpieces then the base needs to be at least 24" tall so that when the flowers are placed on top they won't block your guests view to those across from them. Sit at a table and take in your line of sight. 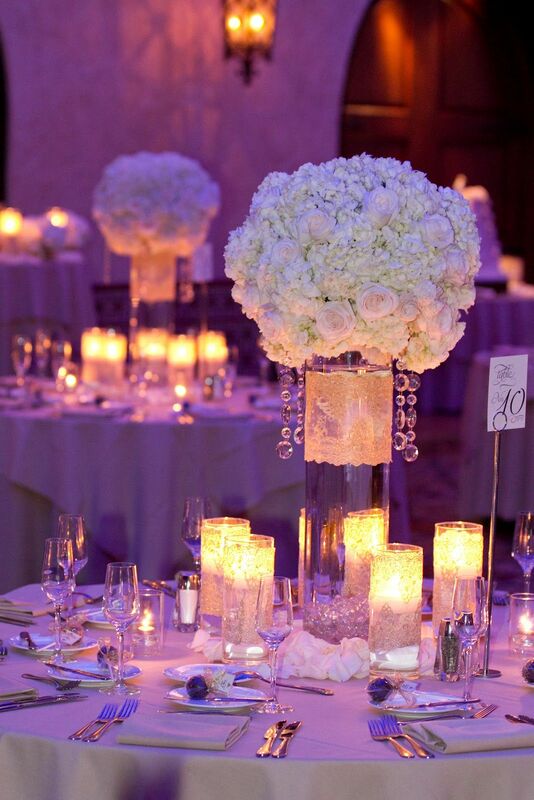 Centerpieces need to be either lower or higher then your line of sight. If they are smack in the middle then your guests will have to look around or crane their neck to look over if they want to try and talk to others at their table and not just the two people sitting next to them. THANK YOU @ ;Maggie0829 ! While this isn't exactly what I want to hear, this is exactly what I needed to know! I will incorporate the larger vases somewhere else and try and find taller vases. You are a mind reader, my dear. Do you think it would look okay if I submerged fake orchids? I feel a little DIY with the adventure. @shannonmaya - if you were to submerge fake orchids I would look into purchasing the kind that have a plastic feel to them rather then the fabric one's. The plastic feeling flowers will hold up better under water then the fabric. I would find a stem or two and give it a whirl. Let them sit in the water for a few hours and see how they hold up.